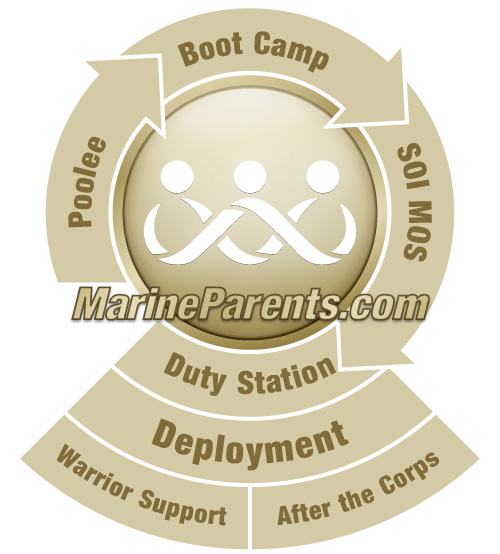 A Place to Connect & Share® is the hallmark of MarineParents.com. We offer a Place to Connect & Share® to our Recruit Parents as well. We're soaring with our social wings and carrying OPSEC with us wherever we go! We invite you to join us in our social networks to learn from our experts! We carry our philosophy of privacy and security into every social network environment we participate in and we encourage you to do the same. We are all on social media talking about our adult sons and daughters in their adult job. It's a great Place to Connect & Share®. But remember please, that your comments are seen by many. Some of the issues that are brought here by parents or family members for discussion are for the recruit to take up with his/her DI or SDI, not for his/her parents to post in a social media group for discussion with the general public. This is your son or daughter's job. It is very uncommon in an adult world to have your mom and dad following behind you in your job. But we offer this space to connect with others that feel the unique emotions tied to having a son or daughter in the Marine Corps-to get support and to offer support to others. This groups are NOT to discuss job performance or expectations. As volunteers and moderators we must respect and protect the privacy of recruits and their drill instructors. We ask that you respect and protect your recruit's privacy and the privacy of the drill instructors as well.